Who is the strongest 2hu? ZUN is the strongest 2hu! Ahoy! And firstly, thanks for sitting in. It was around late 2017 when I got into arranging some Touhou remixes after listening to a remix for “Septette For The Dead Princess.” To sum it up, I mostly turn some of my favorites into Rock/Metal remixes. I know this has been done to death, and several of these tend to be overplayed on YouTube, but I wanted to give it a shot, anyway. Now, I’ll just post all my current slew of 2hu tracks thus far. I obviously plan to make more, as I’m jamming to several tracks almost everyday. P.S: The sound quality isn’t the best since I have to resort to recording everything on my phone, so I apologize in advance for your ears’ well being. Anyway, up first is my recent post on SoundCloud. Alice In Wonderland from Mystic Square.https://m.soundcloud.com/yoshie-shinozaki-1/alice-in-wonderland-touhou Next is a Black Metal styled re-remix of U.N Owen Was Her? In the style of Final Savage.https://m.soundcloud.com/yoshie-shinozaki-1/final-savage-u-n-owen-was-her This set belongs to Legacy Of Lunatic Kingdom. An Alternative Metal styler for both Pure Furies~ Whereabouts Of The Heart & Pandemonic Planet.https://m.soundcloud.com/yoshie-shinozaki-1/pure-furies-whereabouts-of-the https://m.soundcloud.com/yoshie-shinozaki-1/pandemonic-planet-touhou-metal https://m.soundcloud.com/yoshie-shinozaki-1/gensokyo-millennium-touhou And that’s all for now. If you have any criticisms or suggestions, please feel free to speak your mind, and I will try my best to do much better next. P.S.S: I’ll be posting both my latest work on the first page, and on the newest page onward to keep things current. Thank you for your time, mates! I’d marry Meiling. Having a wife, who knows martial arts sounds really stellar. Would be nice to train with her sometime. Plus she needs more love, and what’s wrong with that? Date Nitori. Despite how she might make me feel regarding my intelligence. (What with her being a genius, and I’m not...) Nitori could be fun to hang out with. I’d play with some of her gadgets she built. We both like cucumbers, so that’s a plus? Sorry to the Sakuya fans. Knife-wielding chronomancers are definitely not my cup of tea to stick around with, per se. Not that I hate her. Far from it. But a hard choice had to be made. Seiga Kaku. 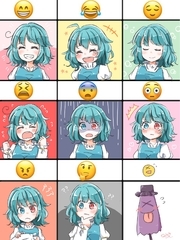 Yuuka Kazami. Satori Komeiji. Well, to put my thoughts on these in turn . . . 1) You aren't missing much. 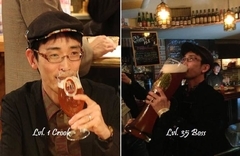 To be frank, Zun's plots are generally excuse plots. His dialouge has some offbeat humor, but intricate plots and compelling characters simply isn't something he does. There's a reason fanmade material can have such a wide range. 2) That's unfortunate. I'ld understand if you aren't a fan of fighters or IaMP/SWRs' setup, but they are a decent look at the roster's personalities. They are part of the reason why the 6-8 cast is as popular as they are, and more consistent in fan-portrayals than some of the later ones. (I also personally prefer the older fighters to the newer ones, but that's opinion) They are not essential by any means though, just a good point of reference. 3) Understandable, given that there isn't a whole lot to gotten aside from the massive number of characters. There are a few print works however, that are of some help. Only some help, however, as many of the one that would explore the lore are written by in-universe characters, and thus, not entirely reliable. Grimoire of Marisa and Bohemian Archive in Japanese Red are examples, the former being Marisa commenting on the Spellcard system and the magic used by others, the second being Aya's newspaper (unfortunately known for stretching the truth). Most other printworks are comedic, slice of life style. The notable exception however, is Silent Sinner in Blue, which is a fairly serious and dramatic story, which, while rather mediocre in my opinion, is probably as definitive as you can get with the 6-8 cast. Given how loose the plot is between the games, the PC-98 is hardly essential for understanding anything in rest of the series. There are only four characters returning from that era, Reimu, Marisa, Yuuka Kazami, and Alice Margatroid. Reimu and Marisa are the same, though Marisa started as a rival working for/aprentice of one of the era's main villains; Mima. Yuuka was a villain from the fourth game, and knowing this explains Reimu's reaction to her in PoFV, the only game in which she has reapeared. Alice appeared in the fifth game, then became a reoccuring character for a while (6-11), and reversing Yuuka, knowing this explains some of Alice's behavior. When it comes down to it, though, only a handful of characters have well-defined personalities, and the setting and lore are often frustratingly vague. A lot of what the fanbase will talk about is just commonly accepted headcanon, rather than actual "top order canon" material. Even most of the official print works aren't written by Zun, and are quite loose with established rules and knowledge about the setting (hence the usual comedic angle). Out of the Touhou games I've played (everything up to 11 so far (not counting some spin-offs), currently playing through 12), my favourite is definitely Imperishable Night. I too could write an essay about why I think this game is one of the best in the series (in my opinion), but that's something for another time. Admittedly, the fact that IN is also the only Touhou game that I've beaten the extra in so far probably contributes more than a little to my liking of this game and its characters. The Embodiment of Scarlet Devil also deserves an honourable mention for being the game that got me so captivated with the franchise to begin with, plus it has a top tier soundtrack. Honestly, I was going to write an essay to describe which game is my favorite. But I don’t wanna bore the readers with my rambling that everybody’s already read over ten years ago, so I’ll get to the point. Imperishable Night. Subterranean Animism. Legacy of Lunatic Kingdom. All three appeal to me the most because the gameplay, soundtrack, and storytelling are equally superb, in my opinion. Course, I’ll admit the sprites for IN made me laugh more than they should. Especially Sakuya’s derpy eyes... Sorry ZUN. Do Fangames count, too? If so, then Disappearing of Gensokyo ranks high, in my book. Release Information Type: RPG Developer: FocasLens Publisher: FocasLens Release: ??? Language: English Patched Keyboard Controls Arrow keys - Movement (Z) - Select (X) - Cancel (C) - Swap Items (A/D) - Navigate Menu left/right (S/Space) - Open Menu Gamepad Controls Direction Pad - Movement (A) - Select (B) - Cancel (X) - Swap Items (L/R) - Navigate Menu left/right (Y/Start) - Open Menu Description Storyline: Touhou Puppet Dance Performance (TPDP) starts off with the player character being transported to Gensokyo through unknown circumstances by Yukari. Seemingly there to help solve an incident that occured recently that involves mysterious puppets that seemingly came out of nowhere. These puppets represent all of the maidens of Gensokyo, and its up to the player to solve the incident whilst finding a way back home. Gameplay: Plays heavy similar to Pokemon. If you've ever played Pokemon, you'll quickly grasp this game. A few key differences though. All the "IV" stats are now shown through Ranks (C-S+) "EV" stats, movesets, and even abilities can be changed on the dime using the PP that puppets receive throughout each fight. All "HMs" are replaced by key items that serve the same purpose. Puppets are caught through something called soul threads, these require you to set, then KO the puppet to catch them. Completely opposite to Pokemon. A whole new type table (See "Other Sources" for info on how to see this type table) Other Sources: A good site for extra helpful information on TPDP is of course, the TPDP wiki. Link here. Here you can view the puppet dex, type table, abilities, and even the locations for the puppets. Added Sanae Miracle(Karaagetarou) to Fan Print Works. 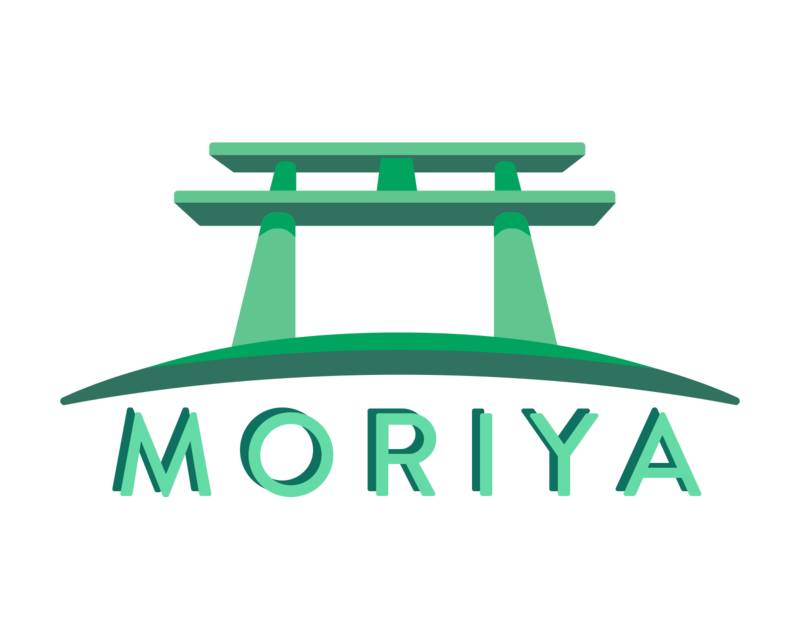 Added Moriya Shrine: The Game as the first file in the Community Games page. Oh boy. I added these games to the site, some require more screenshots : Maybe i went a bit overboard this time. Sorry again for posting in a dead topic. Last night, my family and I went to a Death Metal concert for a band named Children Of Bodom. We got to talk to their Keyboardist & Bassist Janne Wirman & Henkka T Blacksmith respectively. I forgot to bring an album for them to sign, so I improvised and lent them my copy of Forbidden scrollery. They were cool with it, thank goodness. So now it’s counted as Bodom memorabilia! @buskerdogI could be wrong, but... What I've found is that the official comics and manga give insight to some aspects of Touhou lore, but the in media﻿﻿﻿ res﻿ problem kind of persists all throughout the official series. A lot of what you learn in Touhou lore comes from what people talk about happening in the past. Character interactions that hint at the vague history of Gensokyo become your best friend and there are a few blanks you just gotta fill in yourself. I respect that you don't wanna read the wiki pages, but it's a hub when it comes to the information sought after because of questions like yours. I'd say look for the official comics, here's a list: https://en.touhouwiki.net/wiki/Official_Literature Also, if you have any interest in looking at the translations of the many fan songs that exist, a lot of the artists try to accurately capture the feeling of a character or a setting or a storyline only hinted at. But that requires a lot of cross-referencing with other songs to see which themes stay consistent from song to song. Songs also often incorporate a lot of fan-cannon so be careful, that method is more supplemental than anything haha. It just takes a lot of digging and a lot of playing and a lot of filling in the blanks, I think haha. If I recall correctly, the PC-98 games aren't heavy with lore, they do feature places that are interesting and not returned to often, like Hell. So just get to playing those games when you feel like it haha. That's my take, anyway. I hope it helps at all! Depends what kind of controller you're trying to get working and also the compatibility of the software. https://www.x360ce.com/ This is a software that emulates a 360 controller so people can use a PS4 and other controllers on windows. Mind you, if the program has no controller support then that's a different solution I cannot help on. Hope this helps. Yeah, from the sounds of it you fell in love with this series in a similar way as myself. This is the kind of series that can keep you busy for quite a while. I've hardly even touched the PC-98 and fighting games myself yet. And yeah, SA and LoLK had my favorite stories, especially LoLK. It's one of those games that if you try to explain the plot to people it can sound utterly ridiculous, but it has a TON of depth to it. Plus the game really pushed me to my limits which I can appreciate. And ty! I hope yours comes along nicely as well One of my best friends went to Japan and then shortly after my sister and her husband went there too. I got my friend to pick me up a bunch of the games while he was there and my sister to grab the rest when she went (minus the PC-98 games). It was a good deal because they only cost around 13 dollars each there compared to the 40+ I'd be spending per copy on getting the physical copies imported over here. That said I'm still super glad more of the games are coming to steam. Touhou is the kind of series you really need to go out of your way to discover and get into in the west, and having the games on steam will open the series up to a larger audience I hope. 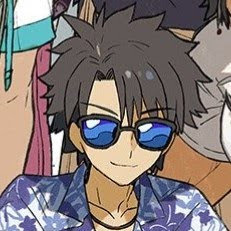 I'm considering buying the games a 2nd time when they're released on steam just as a show of support in the hopes that they'll continue making them a bit more available to western audiences. One thing I find with Touhou is this series has a LOT of completely brokenly overpowered characters, a lot more so then first appears. That being said I also think this particular matchup worked out well for Sakuya do to her experience with vampires. Touhou Daily Life Manga Competition. Who's in? Sorry for the inactivity, as you can see I no longer have administrative powers. After beginning to work full-time and conflicts with other staff members I became inactive. I'm always happy to provide recommendations though! Together With Hekaa-Chan is one of my favourites, period. It's very cute and lighthearted. @DreamleafI gotta admit, it’s pretty stellar how we were rooting for the opposite fighters to win that One Minute Melee. But I definitely agree, I’m glad Sakuya won. And ja, I’ve been playing Luna Nights since it was first announced on Steam. I love how they utilize Sakuya’s Time Manipulation. I gotta get around to finishing it among an entire slew of 2hu games. (Think I got around 30 of them now?) SA & LOLK are my personal favorites in the mainline series. The stories for both are top notch and in some areas; heartbreaking. I plan on buying LOLK when it arrives to Steam in April, along with Impossible Spell Card. Believe me, I’m on the same boat. I intend on collecting every bit of Touhou work I can find. Especially after finding out my local bookstore started selling the Forbidden Scrollery Manga. Also I wish ya the best of luck in completing your collection, mate. Cheers! I remember the Dio vs Sakuya video. That was shortly after I started myself. I liked both characters a lot but I admit I was rooting for Sakuya so I was pleasantly surprised at the end loI. haven't played many of the fan games but I did recently complete Luna Nights which just got its full release on steam recently. Very solid metroidvania if you're interested. I'd definitely recommend it. It's funny coming into this series as a newcomer. It's like jumping into this massive ocean. I've been obsessed with this series for the last 8ish months or so now and I still have tons and tons left to experience. Despite having gotten all the games from this site I ended up picking up an entire physical collection of the games, that's just how much I love this series. I still need to buy the music collection and printed works though. Btw have you played 15 yet? That game in normal point device mode for the first time is an experience hahaha. I think 11 and 15 are my favorites so you might also like it as well if you haven't tried it yet. Uploaded the remaining Foxtail-Grass Studio and as well as Floating Cloud󠂪󠂪󠂪󠂪󠂪 albums. Both Circles made calming instrumental folk music. I have added the Steam links for ISC and LoLK. That is correct, Shrow. Also, in case it wasn't obvious, death also negates the point bonus. And you're welcome for the info. Renamed some of EoSD's files to the correct Japanese names so that the Japanese version will run correctly. Hopefully. Thanks Mirrakh. This has honestly been my trouble, as I'm really big on continuity and get really anxious about whether or not what I'm doing fits in. I am thinking up a possible scenario, going off of my general idea for roleplaying being "Tell the players the basic scenario, and let the first posts be players describing how thier characters get involved" which has worked for me in the past. Higan Retour is always a fun one. I'm not really in the know for official themes though, mostly find remixes. 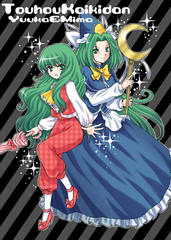 Release Information Type: Old-School RPG Developer: Nise Eikoku Shinshidan Publisher: Nise Eikoku Shinshidan Release: 2009 Version: Special Disc 3.01 Language: English-Patched Character Information Playable Characters: 40 (Reimu, Marisa, Remilia, Sakuya, Patchouli, Chen, Meiling, Cirno, Minoriko, Youmu, Alice, Wriggle, Yuugi, Aya, Iku, Komachi, Suwako, Sanae, Nitori, Ran, Reisen, Eirin, Tenshi, Mokou, Flandre, Rin, Suika, Yuyuko, Kaguya, Yukari, Rinnosuke, Renko, Maribel, Utsuho, Kanako, Yuka, Mystia, Keina, and Shikieki.) Extras *My New Manual is included, but is seperatedly downloadable here too in case you're considering getting it but want all the details before downloading. It's far more helpful than the old English-translated manual and offering it seperately here sees to it that I can keep the detaied stuff off this page. *CharaGraphs: Included in the game download is not one but all seven CharaGraph packs I previously offered separately (in the Spare CharaGraphs folder), and my own ModPack with names and tags is already inn the main CharaGraph folder as the default set. Description Plot Point: A strange dimensional pocket has appeared above the Scarlet Devil Mansion. Its appearance is very menacing, and it feels like it's bad news. Our girls go inside to investigate why it's there and who's behind it. How It Works: It's a classic dungeon-crawling game in the style of "Dragon Warrior." 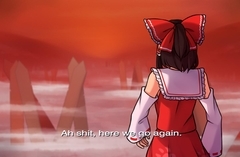 You prepare in Gensokyo, then head down into the dungeon to explore, battle, and find treasure until you're unable to continue further and decide to warp back to town. Relay Points allow you to start from further in. Extra Notes: There are two font files included in the download, which you need to install to your Windows -> Fonts folder; also, this game will run without AppLocale, but if you want the fun Kakupoptai font seen in the screenshots to display properly, you must bother to run it through AppLocale. Girls Ready to Check Out Your Desktop (28) Alice, Byakuren, Cirno, Flandre, Kanako, Keine, Kogasa, Koishi, Letty, Marisa, Meiling, Mokou, Mystia, Nitori, Patchouli, Reimu, Reisen, Remilia, Sakuya, Sanae, Satori, Suika, Suwako, Tewi, Youmu, Yuka, Yukari, Yuyuko Explanation of Config TouhouWiki page for TDP Want to Watch for New Pets? Page they're released on Recently updated to version 3. The five new girls are: * Satori Komeiji * Mystia Lorelei * Kogasa Tatara * Hong Meiling * Letty Whiterock These are different from the regular shimejis; these float around on your desktop, and you can interact with them in a few ways (fast mouseover left/right will dizzy them, mouseover up/down forces them to move, and they'll look at you if you slowly hover over them). When you right click them, you'll be asked if you want to set options (first choice) or close that pet (second choice). In the configuration options are choices that are unique to each girl; you can set how fast they move, how fast they dizzy-spin, and if they have a special double-click option (like Youmu taking out/sheathing her swords or Nitori using her opti-camo), you can disable it, or in some cases set a special option for it (like how well Nitori's opti-camo works).